We are thrilled to be developing proposals for the new Design, Technology and Engineering Centre at Stowe, a unique independent school set within a ducal palace and 750 acres of landscaped gardens. 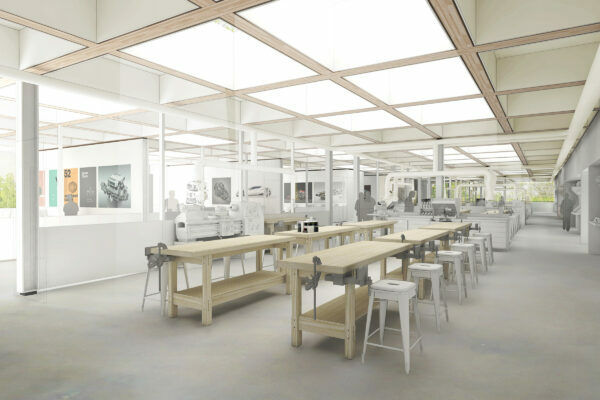 The aim of the new building is to provide academic and vocational training for pupils who will contribute significantly to the UK’s drive for creativity and expertise in manufacturing, product design and architecture, following in the footsteps of innovative and inspiring Old Stoics including Mark Koska OBE, Steve Ausnit and Sir Richard Branson. To find out more about Stowe School’s development plans, visit their website.